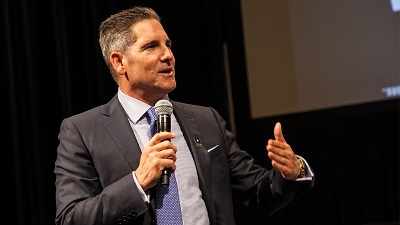 As a New York Times bestselling author and an internationally renowned speaker on leadership, real estate investing, entrepreneurship, and finance – here are 3 must-read books by Grant Cardone. While most people operate with only three degrees of action-noaction, retreat, or normal action-if you’re after big goals, you don’t want to settle for the ordinary. To reach the next level, you must understand the coveted 4th degree of action. This 4th degree, also known as the 10X Rule, is that level of action that guarantees companies and individuals realize their goals and dreams. The 10X Rule unveils the principle of “Massive Action,” allowing you to blast through business clichés and risk-aversion while taking concrete steps to reach your dreams. It also demonstrates why people get stuck in the first three actions and how to move into making the 10X Rule a discipline. Find out exactly where to start, what to do, and how to follow up each action you take with more action to achieve Massive Action results. Extreme success is by definition outside the realm of normal action. Instead of behaving like everybody else and settling for average results, take Massive Action with The 10X Rule, remove luck and chance from your business equation, and lock in massive success. Before Grant Cardone built five successful companies (and counting), became a multimillionaire, and wrote bestselling books… he was broke, jobless, and drug-addicted. Grant had grown up with big dreams, but friends and family told him to be more reasonable and less demanding. If he played by the rules, they said, he could enjoy everyone else’s version of middle class success. But when he tried it their way, he hit rock bottom. Then he tried the opposite approach. He said NO to the haters and naysayers and said YES to his burning, outrageous, animal obsession. He reclaimed his obsession with wanting to be a business rock star, a super salesman, a huge philanthropist. He wanted to live in a mansion and even own an airplane. Obsession made all of his wildest dreams come true. And it can help you achieve massive success too. As Grant says, we’re in the middle of an epidemic of average. The conventional wisdom is to seek balance and take it easy. But that has really just given us an excuse to be unexceptional. · Set crazy goals—and reach them, every single day. · Feed the beast: when you value money and spend it on the right things, you get more of it. · Shut down the doubters—and use your haters as fuel. Whether you’re a sales person, small business owner, or 9-to-5 working stiff, your path to happiness runs though your obsessions. It’s a simple choice: be obsessed or be average. Whether it’s selling your company’s product in the boardroom or selling yourself on eating healthy, everything in life can and should be treated as a sale. And as sales expert Grant Cardone explains, knowing the principles of selling is a prerequisite for success of any kind. With the experience of a seasoned sales vet at the helm, Sell or Be Sold will change the way you perceive the sale and life. Have you read any of Grant Cardone’s books? Which one was your favorite? Let us know in the comments below! 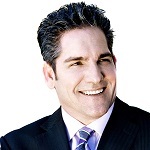 Grant Cardone is a New York Times bestselling author, international speaker, business innovator, social media personality, and top sales trainer in the world.